Channel from Algeria. 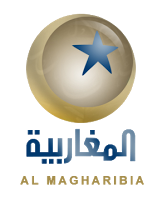 is an independent satellite television channel, broadcasting from London, United Kingdom.Al Magharibia TV or Maghreb is an independent satellite television channel. The channel sheds light on the political and economic issues and social issues of concern to citizens in the Maghreb region (the region of western North Africa or Northwest Africa, west of Egypt).